1 Avoid moving a chess piece twice during the opening. 2 Develop the Knights before their respective Bishops. 3 Develop both Knights before the Queen’s Bishop. Do not develop your chess pieces exclusively on one side. 4 Do not play a piece beyond your own side of the board in the opening. 5 If you have castled do not permit the opponent to open a file on your King. 6 Avoid pinning the opponent’s King’s Knight before he has castled, especially when you have yourself castled on the King’s side. 7 Avoid making exchanges which develop another piece for the opponent. 8 Avoid exchanging Bishops for Knights early in the Game. Figuring out how to move the pieces is only the start of your chess life. But when you start playing real games for the first time you ask yourself, 'how can I use these figures to good effect? ', 'what are their possibilities with these strange powers? ', 'how can I make them fight the opponent?'. You are best advised to know some general opening principles so that you can stay alive long into those difficult early games. There are a number of things the budding chess player must remember. Chess is like writing. There a number of rules you must always respect. Like the rules that govern writing there will be times when you can bend or even break these rules. However in order to know when it is okay to do this you must know the rules instinctively and why they exist. They are more like a set of guiding principles than rules. 1. Fight to control the center of the board, especially the four central squares. 2. Begin by pushing one of your two central pawns. 3. Develop your minor pieces first, furthermore Knights before Bishops. 4. Don't move the same piece more than once as this loses valuable time. 5. Most importantly, castle as soon as possible, get your King safe. 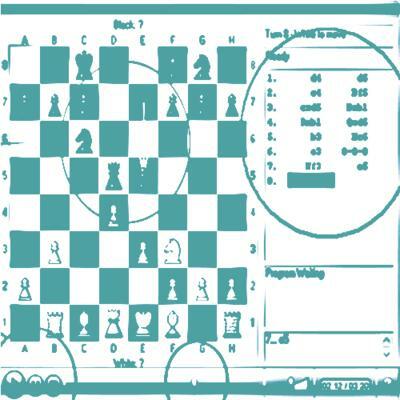 Experienced players also make use of tactics and chess tips to bring the game to an end. So if you are looking for a proper strategy for your chess game, then you need to follow best guidelines. Reading books on chess strategy and subscribing to newsletters will help. This certainly does not mean that guidelines need to be followed in every case, but you can always expect to enter an effective middlegame, using best principles. When playing chess, you have to ensure that you have complete advantage in space so that all your pieces are able to move freely on the chess board.